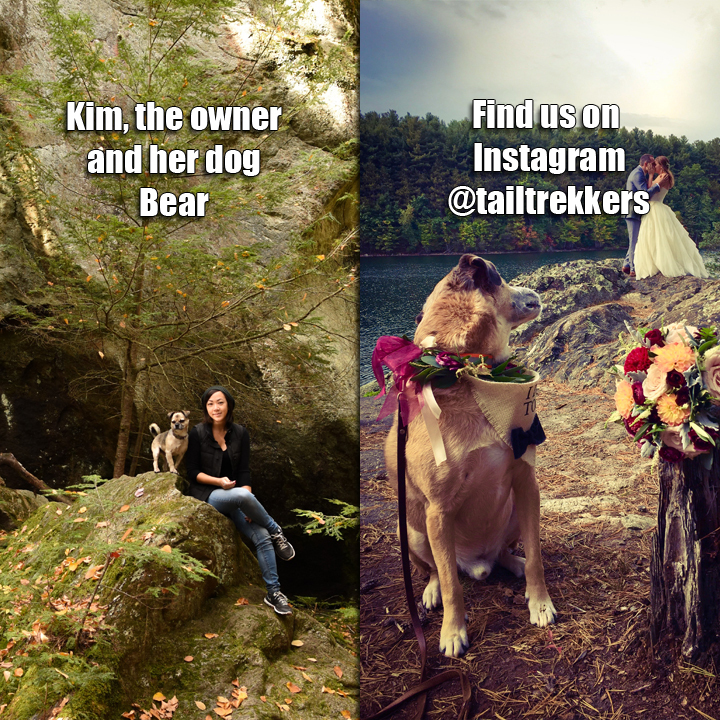 Tail Trekkers are not your typical dog walkers. 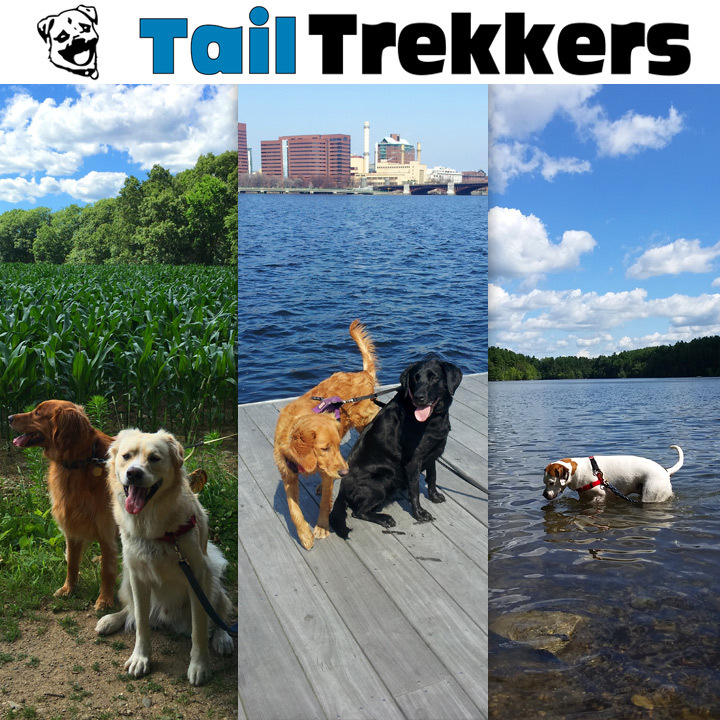 We specialize in 2-3 hour dog walks to a variety of places including The Fells, Castle Island, The Mystic & Charles rivers, and Fresh Pond. Our mission is to give dogs as full a life as we give ourselves. We don't just focus on exercise. 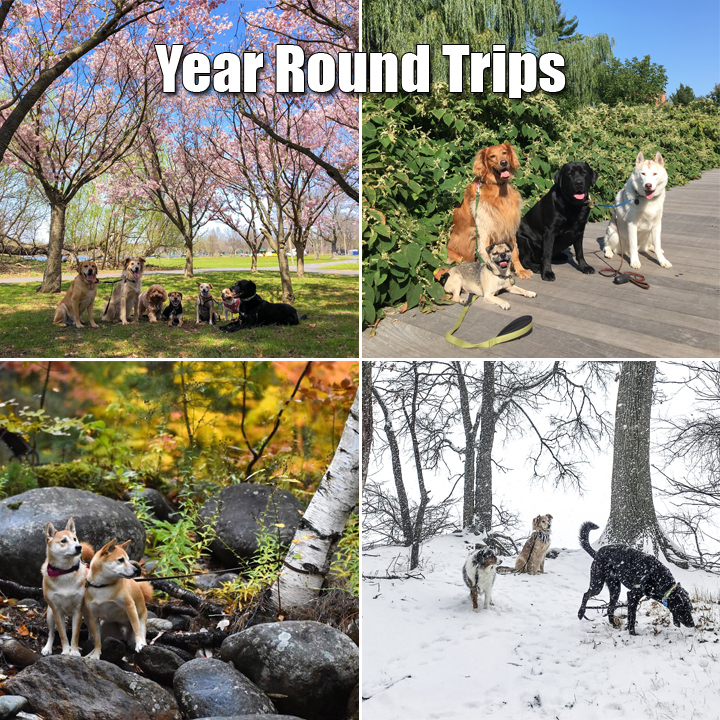 We also think exploring, lounging, smelling, making friends, and just being out in the world are great benefits to all dogs. Click on a Service below for details, requirements and more. We no longer offer shorter dog walks or cat sitting. For cat sitting, please contact our preferred local cat sitter, Eric Donahue, at eric.donahue@gmail.com. 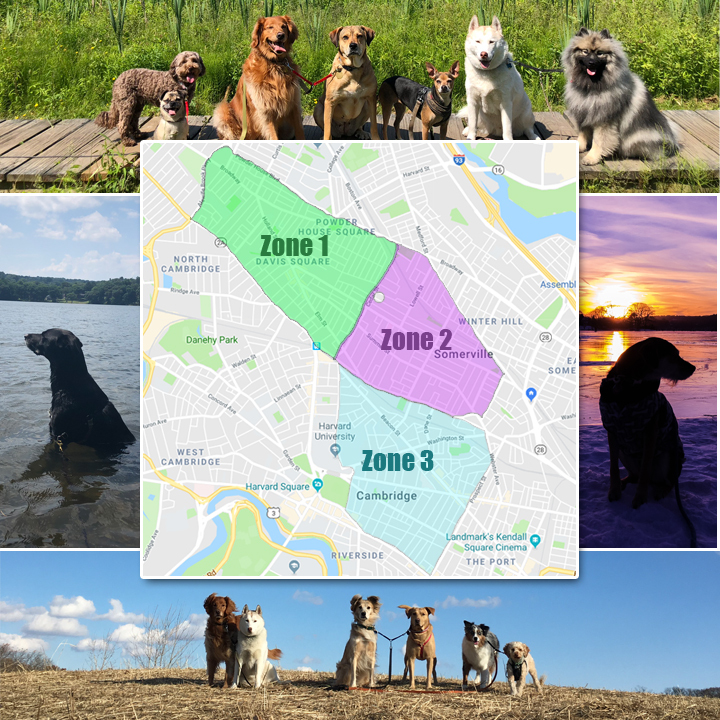 We walk dogs residing in most of Somerville and the Harvard/Inman area of Cambridge. We book dog walks based on the zones noted on our map. If your area or days are not available, you can still fill out our application and we will add you to the wait list! - Zones 1-3: We are accepting new clients for the months of April/May/June only, short term contract on the days below. We are back to being booked full starting in July and will have to end walks for new customers at that time. We are expecting permanent spots to open in October. A: We never schedule more than 6 dogs per walker. We do not do solo walks. Q: How does this work logistically? A: We pick your dogs up at your house, and drop them off. You don't need to do anything. 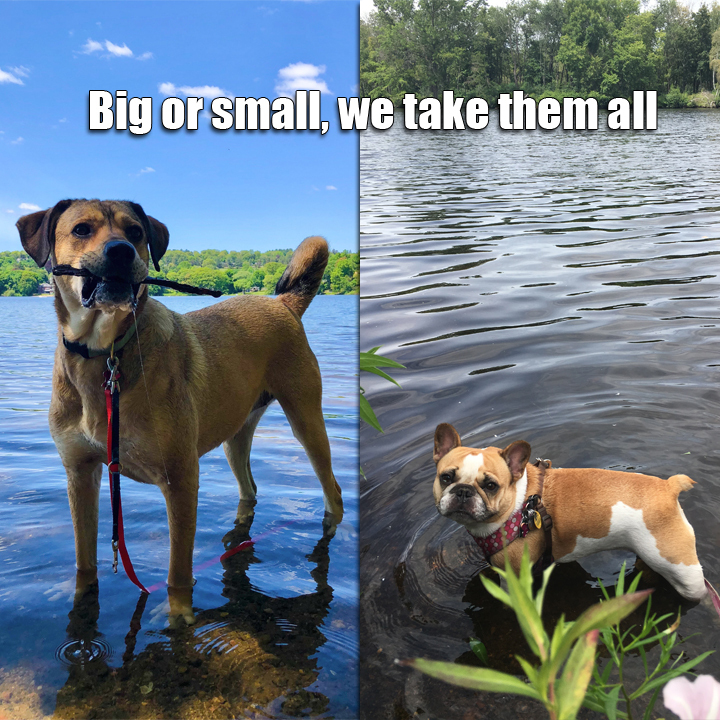 Q: How old do dogs have to be for trips? A: Dogs must be at least 7 months old. 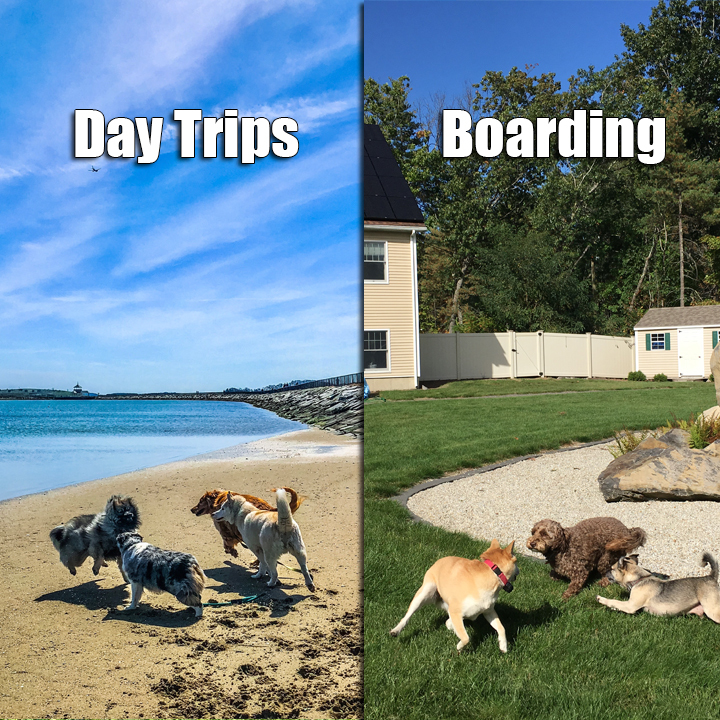 Older dogs must be evaluated for trips. Q: My dog has social issues. Can you walk them? A: Due to our adventurous setting, aggressive or highly nervous dogs will not be accepted. If your dog pulls on its leash uncontrollably, and they do not respond to our training methods, we may have to terminate service. Bulk Pricing: We have a lower price for clients that book 3+ days per calendar week. The discount is calculated weekly, so if you cancel one day in a normally 3 day week, the full price will be charged. Extreme Weather: We generally walk rain or shine, however during extreme weather events such as 6+ inches of snow, 90+ degree weather, etc. we reserve the right to cancel or cut walks short. Cancellation: We require 48 hours notice if you need to cancel a booked service. If you cancel within 24-48hrs, a 25% fee is applied, less than 24 hours, a 50% fee is applied. If you fail to cancel and we show up, you will be charged full price. Holiday fee: For some holidays, we apply a $5 fee. Additional Dogs: A $10 discount is given for additional dogs in the same household for day trips. Pet up to date on shots? Email is the best way to contact us. Our focus during the day is on your pets, not our phone!